“Thank you all so much for your help and guidance throughout our house selling and buying experience. You were amazing and we are so very grateful. Our new house is everything we could have wished for and more! “Now that the dust has settled following our successful exchange, we just wanted to write and thank you and your team for such excellent work. In truth, previous house moves had left us with a rather jaundiced view of estate agents however, we’re delighted to report that Fells Gulliver have restored our faith in your profession! Heartfelt thanks then to Kerry, Rebecca, Wendy and Val for all the hard work and effort on our behalf, which resulted in the sale of Blackthorns. Special thanks however, must go to Leanne who was, quite frankly, outstanding. Courteous, efficient and, as with all of your team, nothing ever seemed too much trouble. Her communication was excellent throughout, and she dealt admirably with the added complication of the highly unpleasant vendor at the very top of the chain. Leanne can also be proud of the unsolicited feedback we got from our vendor, whose Solicitor was hugely impressed with Leanne’s ability and competence. So, without wishing to sound too effusive, we are very glad that we chose Fells Gulliver to handle the sale of our property and would not hesitate to recommend your services to anyone. We are also extremely grateful for your recommendation of James Burford to handle the conveyancing. Fantastic service and we have written to James seperately to thank him. “I really would like to take this opportunity to say thank you to all the girls at Fells Gulliver for the sale of Cornerways, East Boldre. The service was excellent, always happy and smiling, nothing was too much trouble and so helpful. Your support from beginning to end was amazing, you all work as a great team, and most importantly I felt that each person new what the other was doing at all times and your constant communication with me made me feel less stressed. I can highly recommend your services. “Fells Gulliver, our favourite estate agents. “I have dealt with many Estate Agents and have to say that Fells Gulliver are in another league! I have instructed Fells Gulliver to sell several properties for me over the last few years and have always found Kerry and her team to be professional and extremely efficient at achieving a positive outcome for me. Kerry has always provided me with accurate and considered property valuations and property marketing advice which has resulted in achieving very good prices for my properties. One area where most Estate Agents fall down is with seeing the sale to a successful conclusion, not so with Fells Gulliver! Kerry’s team have always introduced good quality, qualified buyers and have been instrumental in chasing solicitors, surveyors etc thus creating and maintaining momentum in the sale process resulting in swift and (relatively) stress free sales for me. “We have used Fells Gulliver on numerous occasions and would not hesitate to do so again, the staff are genuinely very friendly and knowledgeable of the property market. We have always been kept informed at all times regarding our house sales/purchases. They are all very approachable, nothing is too much trouble and are genuinely interested in selling our property. We had every faith in them doing so and they delivered every time! “I want to say a somewhat belated thank you to you and the team for selling my property. What impressed me was the way all the team dovetailed in very well and kept abreast of the whole process. Also swift accurate emailed feedback after each client visit was extremely helpful. It enabled me to see that the market was softening and adjust my asking price accordingly, resulting in a sale. Fells Gulliver have sold five New Forest properties of mine in the past and I am pleased that Lymington office is continuing the trend. Thank you for the professional service you all provided for me during a year full of dramatic challenges. “Thank you for the confirmation that the sale of my Dad’s house is complete. I had been dreading having to sell the house but thanks to you it has been completely relaxed and stress free. “Just quick note to say a huge “THANK YOU” for all the hard work you put into getting my house sold. From beginning to end the process was seamless and stress free, which from past experience isn’t always the case when dealing with this kind of sale. The professionalism I experienced from each and every one of you was second to none and tells me that you all know exactly what you are doing and really take pride in your work. On a few personal notes, Rebecca was great in carrying out the viewings and answering any questions both the buyer and I had during the process. Noora was extremely polite and professional and kept me up to date at all times, certainly a great asset to the team! Kerry’s management of her staff really does shine through and Dan did exceedingly well with valuing the property accordingly and getting the sale and price that I required. A team that works very well together. Thank you so much for all your hard work and reassurance. I am very pleased that I chose Fells Gulliver again to sell my property. “We were highly impressed with Dan and Kerry as ever – who drove the idea of selling and produced a number of good enquires – eventually identifying our purchaser. Rebecca who we initially dealt with had a positive attitude and provided regular updates, constantly feeling confident we would get there. At times her enthusiasm even dragged the cynical me along! “We have recently exchanged on a property sold via Fells Gulliver Estate Agents. Throughout this process, Fells Gulliver have been helpful, professional and very productive. We experienced many problems with our buyers, and despite this not being the concerns of Fells Gulliver, Leanne went over and above her duties to find out the issues and ensure things were kept on track, and was able to bring them to a positive conclusion. “After many years, and many house purchases I learnt something new: not all estate agents are the same. Fells Gulliver took a personal responsibility to ensure my purchase was successful. To say it was a roller coaster ride is an understatement, but throughout, Fells Gulliver’s professional, informed and engaging style ensured we (the buyer, vendor, solicitors) continued to a successful outcome. Without doubt, the sale would not have happened without their constant vigilance and genuine individual commitment and excellence. “Thank you so much for all your help over these few months – you have been absolutely fantastic to work with and never caused me any worry. It all started with the lovely Rebecca who so ably helped Lauren & I find our new home – I was so so glad that after the first proposition fell through I managed to be even happier with a second option found through you guys. “We were very pleased with the experience of house buying through Fells Gulliver, Lymington. Kerry and Wendy were always efficient in your role of communicators between us and the vendor, no mean task with the long exchange period and the mishaps our buyers had along the way. The office staff were very professional and polite when either Kerry or Wendy were not available. Thank you for your time and service, should we be considering buying or selling again in the future we will definitely consider using Fells Gulliver”. Buying property is a stressful time for most of us. But all the members of staff at Fells Gulliver could not be more helpful. They eased us through each step at a time. Always helpful by email or phone. First class service from start to finish. Well done!  “I would like to thank all the team in Fells Gulliver Estate Agents for all their hard work and support as without you all, l would not have been able to get this resolved. Noora has been a “diamond” through a very stressful time while purchasing my apartment, she has been very efficient and professional in every way possible during the many weeks and months while on-going discussions from the vendors and solicitors took place.